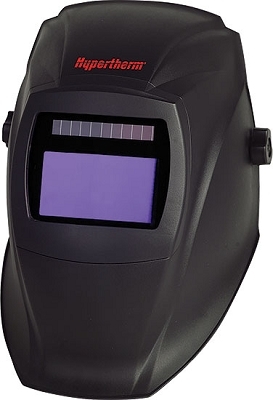 Premium auto-dim shade 8–12 with large 5100 square mm viewing area for cutting, welding and gouging. Includes clear safety shields, pouch and sticker sheet. ANSI Z87.1, CSA Z94.3, CE. For use when cutting using above 60 amps. Does not ship same day- lead time of 3-4 days.